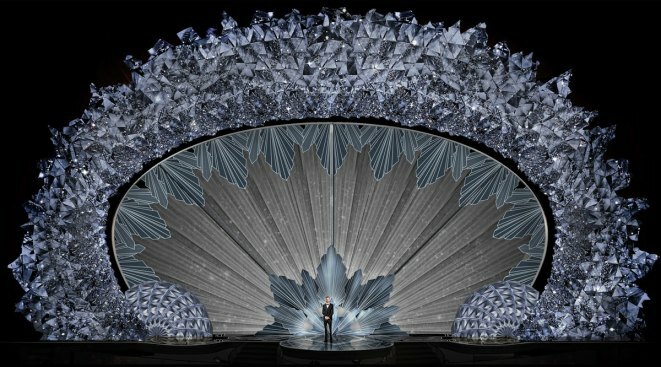 This artist rendering released by Swarovski shows a crystal design for the stage at the 90th Annual Academy Awards held on Sunday, March 4. Production designer Derek McLane hand-picked most of the sparklers for the starry proscenium he created for Sunday’s show. There will be half a million Swarovski crystals on the Dolby Theater stage for every year the Oscars have been presented. That's 45 million crystals in honor of Oscar's 90th year. Production designer Derek McLane hand-picked most of the sparklers for the starry proscenium he created for Sunday's show. He said in an interview Wednesday that the design incorporates various eras of film history and is meant to evoke a sense of Hollywood glamour. "I think people really enjoy watching the Oscars as a kind of celebration of the glamor of Hollywood... that's the fun of it," he said. "That was always the fun I had watching the show when I was a kid, so I want to be true to that." This is the Tony Award winner's sixth consecutive year designing the Oscar stage. He has received an Emmy nomination every year for his work on the show. McLane said he brainstorms without considering practicalities like budget or mobility, then reigns his ideas back down to Earth. 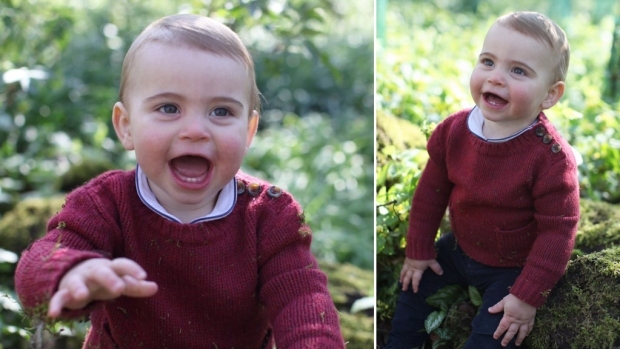 "Just to simply fantasize — that's where you get the purest ideas," he said. "And then we face reality and think: how are we actually going to do this?" He said nearly all of the stage elements are created anew each year, but the crystal Oscars that debuted on last year's telecast will be making a return appearance Sunday.